What a busy day it was today! Of course, breakfast is a must with such a busy day ahead. I ate mostly fruit for breakfast, and it energized me for Sharc! 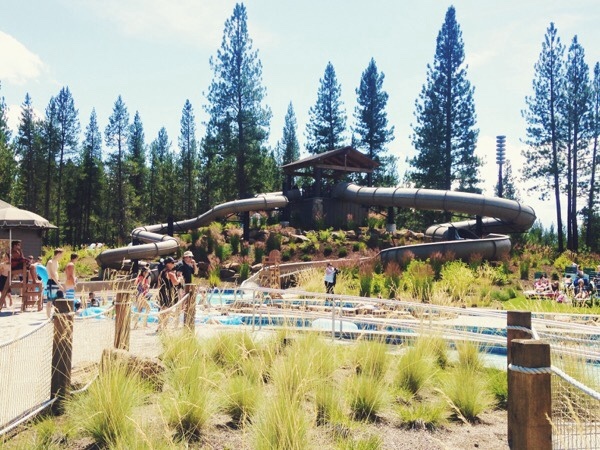 Sharc is Sunriver's newest waterpark. 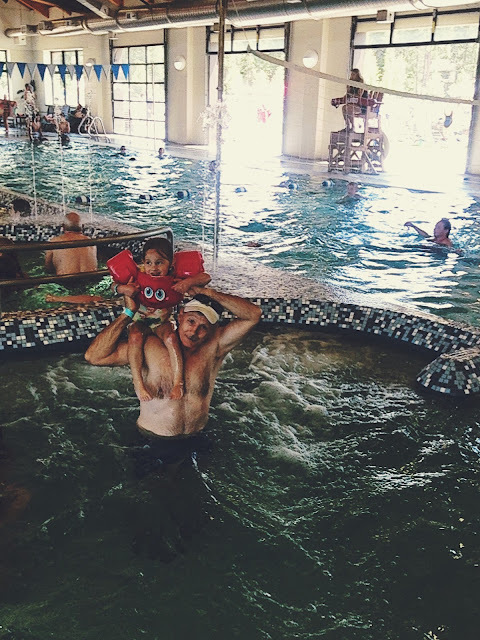 Sharc offers all kinds of fun for the whole family. 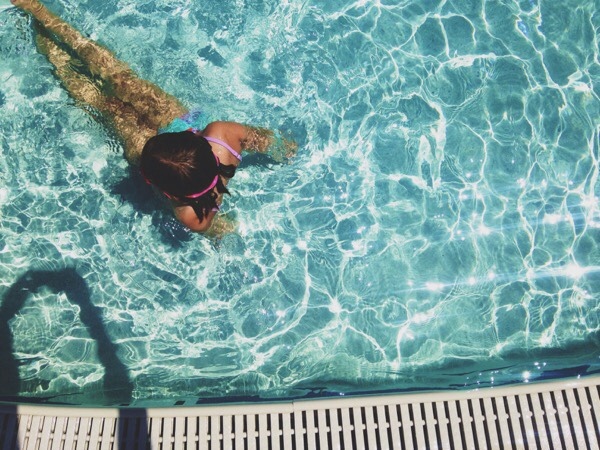 The house we are staying at has passes for Sharc, which means the tube slide, and access to the pool. 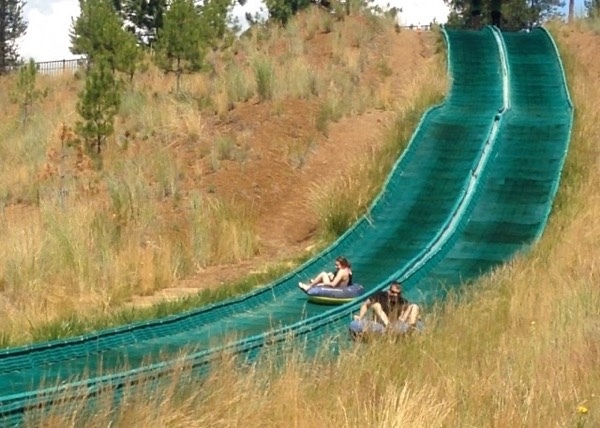 I went twice, once with my sister, and once with my dad. It was a pretty fun gig, and I had a scratchy throat afterwards from the little scream that I let out. 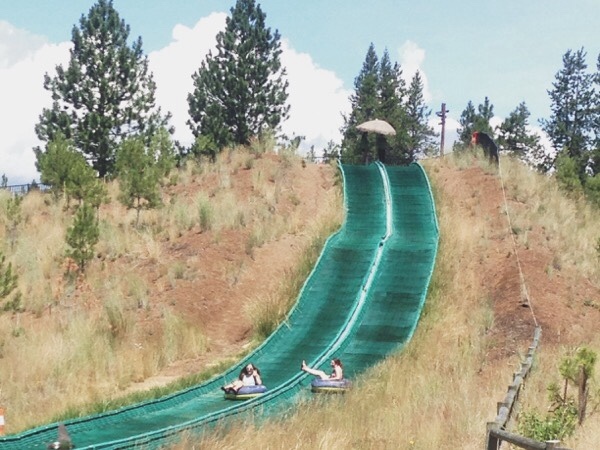 There were fast portions of the tube slide, and it was rather fun. 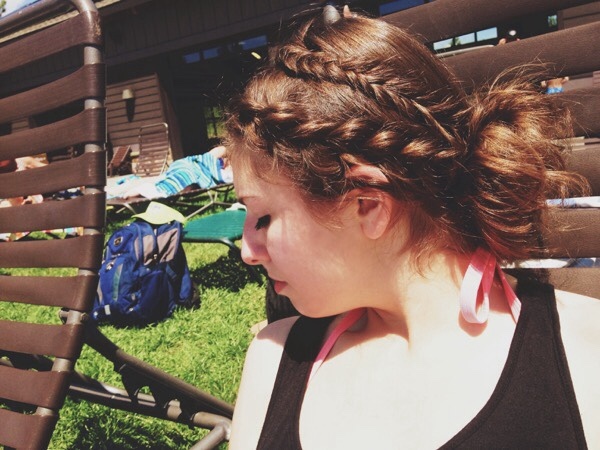 I was pretty proud of my hair for the pool. I did it in the car with no mirror, and only one hair tie. I felt my hair was blog-worthy. 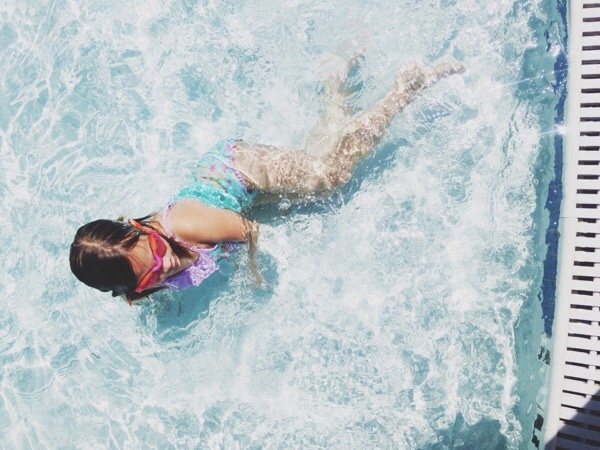 It inspired me to do a post sometime about poolside hair. Last year, my dad was recovering from knee surgery when we came here, so he didn't have a chance to go to Sharc. This year, he was able to go and have fun at Sharc with the rest of us. He had a lot of fun, and he went down the slides three times! Here are some photos of him coming out of the slide. The littler girls were in the inside portion of Sharc, having fun with Grandpa and Aunt Shawna. I decided to visit them to get out of the sun. I realized that I got incredibly sun burnt, and I am suffering from it. I have learned my lesson. Sunscreen is a must ALWAYS. The girls had a lot of fun swimming at Sharc today. I hope we go back before we leave, I would a like to get in the water once before we go. Today was just a "sun" day, and I got too much of it. 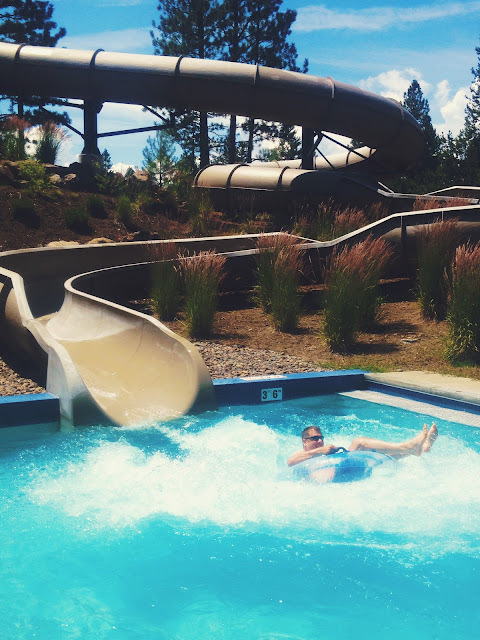 Today was also the day that my parents left Sunriver for home. 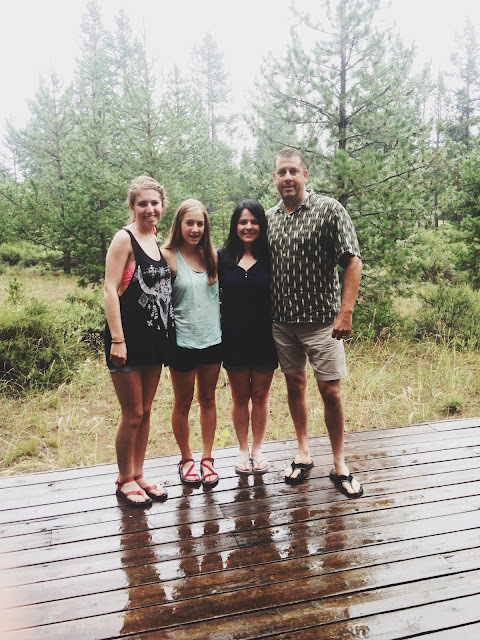 My mom wanted to get a family photo in the nature of Sunriver, and as soon as we were ready to take the picture, it started to pour rain, and the daily thunderstorm passed over Sunriver. We made do, taking the photo on the deck with very little interaction with rain. I wish they could stay longer, but I think I will have fun the rest of this week. They arrived home safely, and they have a busy week ahead of them as well. After dinner, my Grandma and I went on a little bike ride, and we rode to the Lost Wagon Ruts of Sunriver, and Ft. Rock Park. 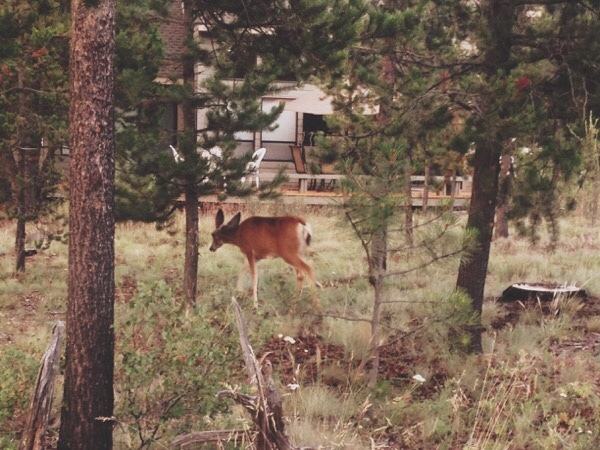 On our way home, we saw a group of five deer all eating together, but I only caught a picture of one deer. I'm impressed! That hair is super cute!